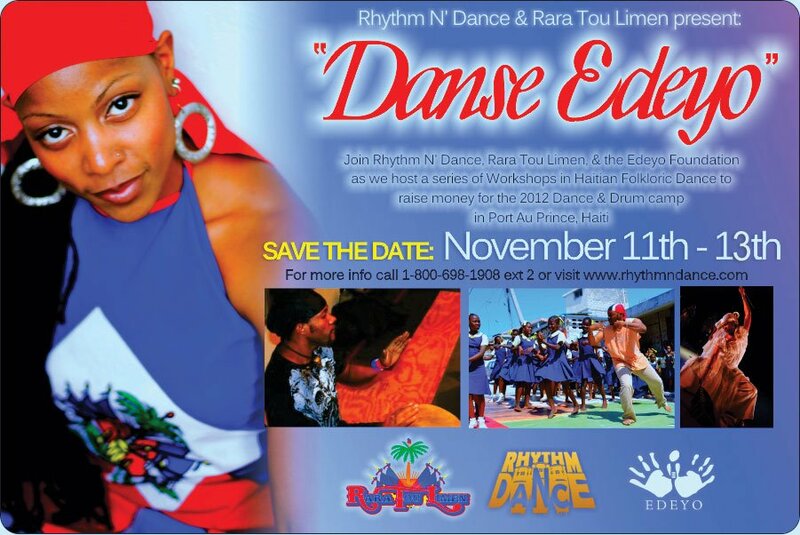 Proceeds to benefit the Joyous Heart School in the Bel Air neighborhood of Port-au-Prince. 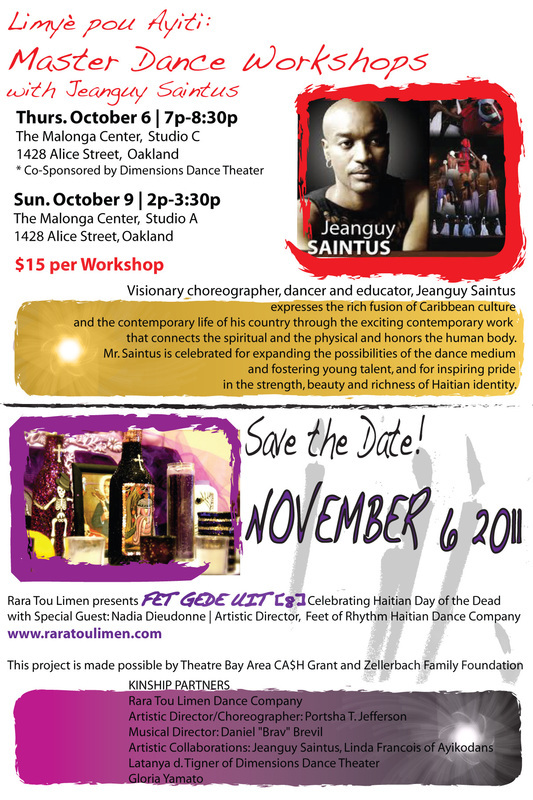 Oakland Ansanm pou Ayiti! 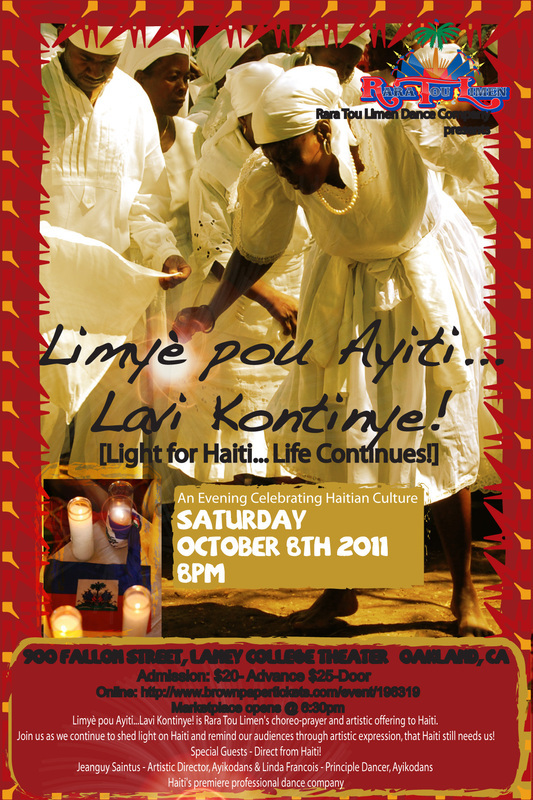 – Oakland Together for Haiti! 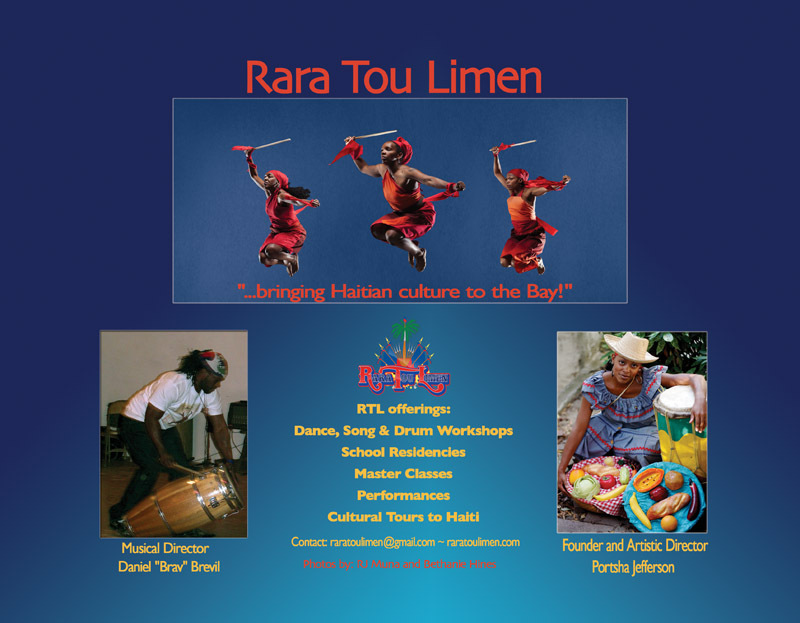 will celebrate the rich cultural traditions of Haiti and serve as an educational vehicle, informing participants on creative ways to collectively join forces to rebuild and revitalize Haiti and impact it’s future. 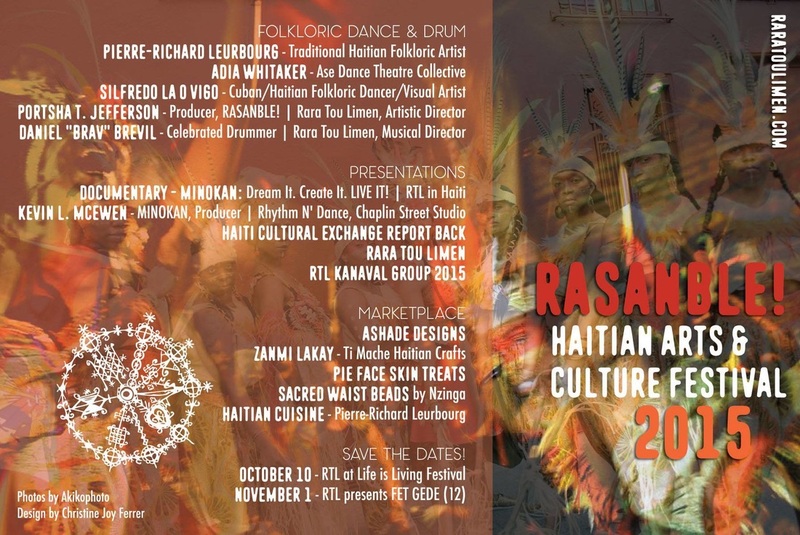 In addition, the benefit will give participants, donors and sponsors an opportunity to give DIRECTLY to Haitian families, loved ones, artists, and to the community of Carrefour Feuilles, an area of Port-au-Prince grossly neglected. 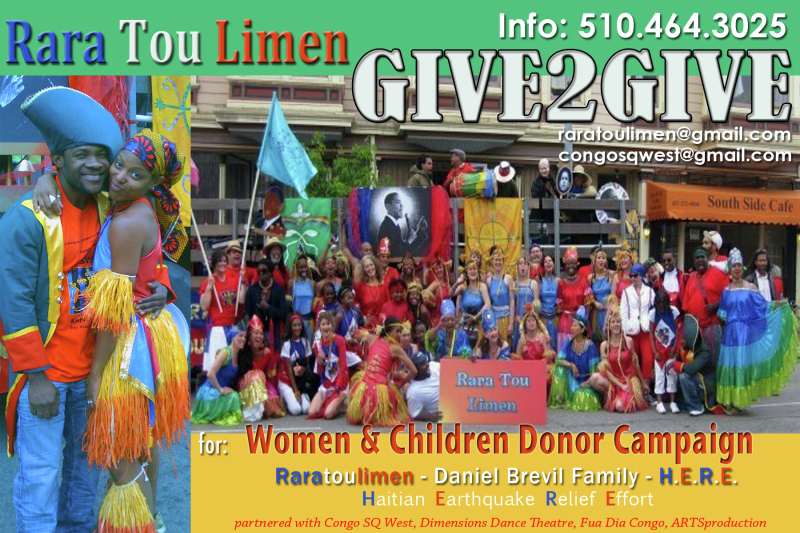 Over 20 gallons of selected in-kind goods & supplies collected. 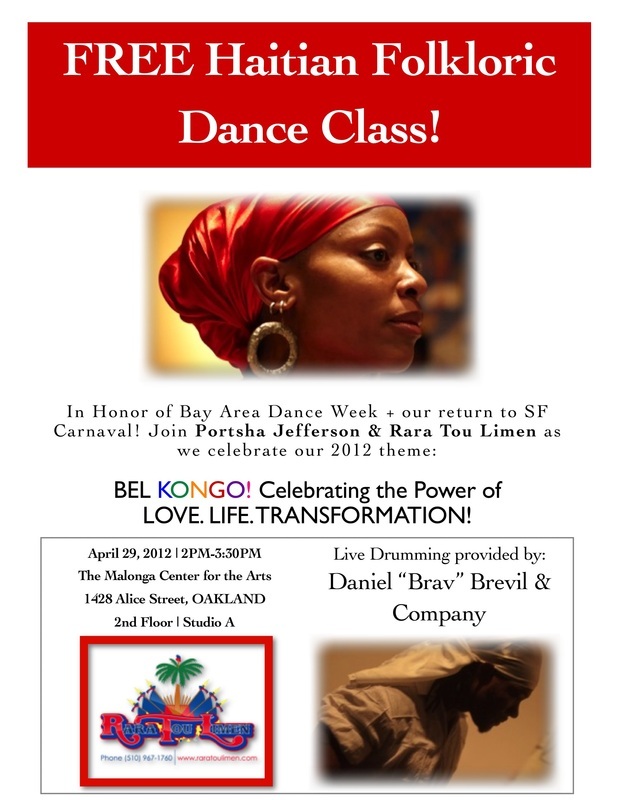 Daniel Brevil of Haiti is a Master Artist/Instructor & Musical Director for Bay Area Kanaval Performing company - Rara Tou Limen, in partnership with Portsha Jefferson, Founder/Director of the group. Daniel incredibly survived the Earthquake and with recent return March 2010; He is now managing daily life, providing for Family recently displaced, and maintains continued dedication in providing assistance towards rebuilding his community -Carrefour Feuilles. Congo SQ West's networks and Go[o]d Service Agents [GSA's], tenaciously guided and facilitated provisional aid for Daniel and his family within the 1st 10 days...yet he answers the call of his native community, drawing attention to the Carrefour Feuilles district- severely affected, receiving minimal aid...We maintain fortitude and FAITH in this ongoing effort of Uplift and continued sustenance. 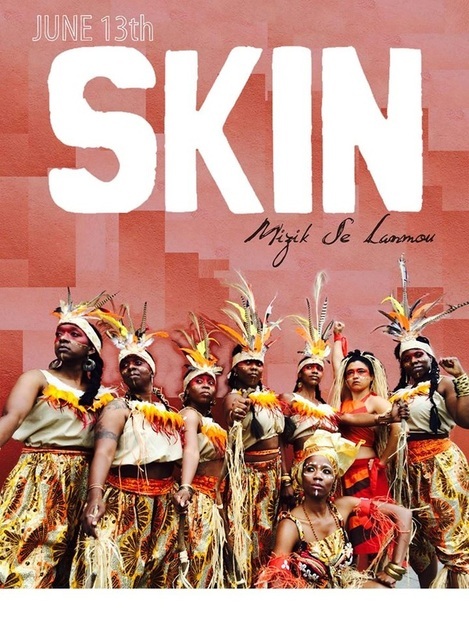 Much love and appreciation to RTL's Kanaval Contingent for a wonderful display of solidarity with our beloved Ayiti! Our Konbit ROCKED the streets of SF in FULL splendor! Big ups to Brav, our vocalists, drummers, skaters, stilt walker, spirit section and our dedicated community of fabulous dancers who made IT happen. I am filled with gratitude. RETHINK, REBUILD, RESTORE! -- let's not forget!